In late 1970 Frank Zappa resumed touring with a reformed Mothers, including former Turtles Howard Kaylan and Mark Volman, and a stage show involving provocative comedy routines alongside typically complex music. 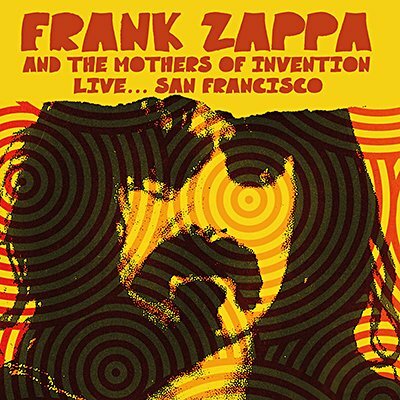 Originally broadcast on KSAN-FM, this superb show performed at the Fillmore West, San Francisco on 6th November 1970, features material from the forthcoming 200 Motels, older songs, jazz fusion, touches of Zappa's beloved doo-wop and much more. With plenty of ingenious musical flourishes and rabble-rousing audience interactions, this historic gig is a must for Zappa fans. 15. Do You Like My New Car? 17. Who Are The Brain Police?